Washington • Some of Utah’s members of Congress said they were surprised Monday by the charges filed against President Donald Trump’s former campaign manager and a campaign aide but stood by their support of special counsel Robert Mueller, who continues to investigate the Trump team and its potential ties to Russia’s meddling in the 2016 election. Mueller on Monday revealed 12-count indictments against onetime campaign manager Paul Manafort and his longtime business associate Rick Gates, as well as a guilty plea by a Trump foreign policy adviser, George Papadopoulos, for making a false statement to the FBI. 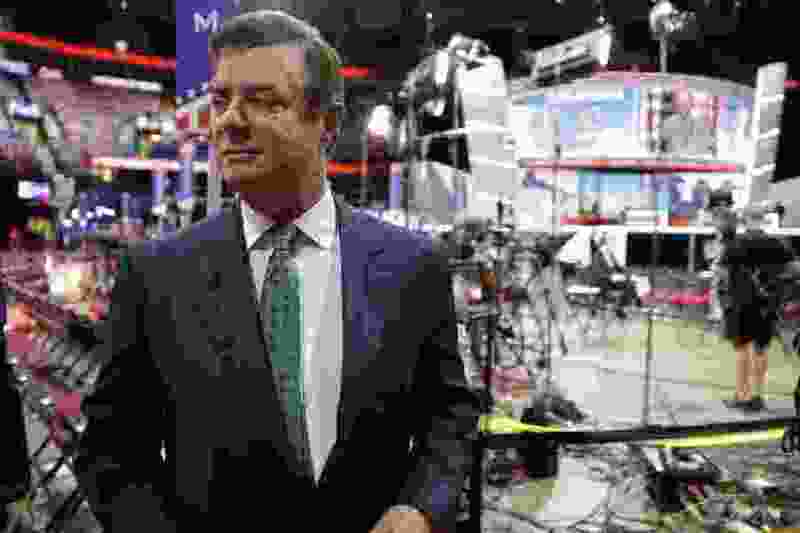 Manafort and Gates face charges of conspiracy against the United States, conspiracy to launder money and making false statements; they pleaded not guilty in court Monday afternoon and are being held on house arrest under a bail agreement. The indictments represent the most aggressive move yet by Mueller, a former FBI director, in his investigation of the Trump team’s ties to the Kremlin’s efforts to interfere with the 2016 election and help Trump win. While avoiding comment on the charges themselves, Sen. Mike Lee, R-Utah, a former assistant U.S. attorney for Utah, said he backs the probe and Mueller. “I fully support Special Counsel Robert Mueller’s continuing investigation and I’ll do everything I can to make sure that the system of checks and balances, the system of separation of powers in the federal government, is upheld,” Lee said through a spokesperson. Sen. Orrin Hatch, a Utah Republican who holds a law degree, told reporters that he was surprised by the charges against Manafort but didn’t get into details. In a statement, his office steered clear of commenting on the indictments but backed Mueller. Rep. Chris Stewart, a Utah Republican who sits on the House Intelligence Committee, said the indictments don’t change his confidence in Mueller’s investigation and that it won’t have any impact on his committee’s simultaneous probe of Russia’s involvement in the U.S. election. “We’ll continue to do our work and let Mr. Mueller do his,” Stewart said in an interview. Stewart warned not to read too much into the charges filed Monday and that, so far, the special counsel hasn’t shown a direct link to people working inside the Trump administration. As for the other two current members of Utah’s all-GOP congressional delegation, Rep. Rob Bishop declined comment Monday, and Rep. Mia Love did not respond to requests for comment. The White House said Monday there are no intentions or plans to fire Mueller, though Trump has been highly critical of the special counsel. The Wall Street Journal’s conservative-leaning editorial board last week called for Mueller’s ouster and said any investigation about Russia should include then-Secretary of State Hillary Clinton’s dealings with U.S. approval of a Russian-backed company buying a larger share in American uranium mining operations. That approval had the consent of eight federal agencies, and it’s unclear whether Clinton was involved. As news of the indictments emerged Monday, Trump took to Twitter to blast the uranium deal, called the Trump-Russia probe “phony” and said that there was no collusion between his campaign and the Kremlin. The real collusion scandal, as we’ve said several times before, has everything to do with the Clinton campaign, Fusion GPS and Russia,” she said, referring to a political group that had worked on opposition research into Trump that led to a controversial dossier. Democrats have moved to ensure the president cannot fire Muller as the investigation continues. Senate Minority Leader Chuck Schumer, D-N.Y., said Monday that Mueller needs to be able to do his job without interference from the White House. Meanwhile, Evan McMullin, a Utahn who made a failed bid for president last year as an independent, noted on Twitter that it was Trump’s campaign mantra to jail Clinton, the Democratic nominee, but now it’s his campaign aides facing federal charges. “It’s poetic irony that the chairman of the campaign that violated our democratic norms to chant, ‘lock her up!’ is now in federal shackles,” McMullin tweeted. Manafort voluntarily turned himself in at the FBI’s Washington Field Office and appeared in court later Monday. It was unclear if he was ever handcuffed.